I just read an article that said about 30 percent of young Irish women, ages 25-34, now smoke. This ratio rises to over 50 percent of young Irish women who are in a lower socio-economic class (SC 5-6 in Ireland). As if these numbers aren't depressing enough, the real shocker to me was the fact that around 20 percent of women in Ireland smoke during pregnancy. Apparently smoking during pregnancy is considered "normal" in some communities (Growing Up in Ireland, 2010). Of course, when women smoke during pregnancy and after their babies are born, they are subjecting their children to secondhand smoke, which has a major adverse affect on their health. I can't help but think that Vaping Vamps can somehow help. I've had a vision of going to Ireland for the last year. Perhaps it's because I really want to bring the message to Irish women that there is a now an alternative to smoking - one that doesn't expose their babies and children to secondhand smoke. I wish I could broadcast it from the top of Mount Carrauntoohil so that it would reach every glen, vale and valley in Ireland. A report called Women and Smoking: Time to Face the Crisis, reported the findings from the Irish Cancer Society's conference, held in association with the National Women's Council of Ireland (NWCI). According to this report, more Irish women now die from lung cancer than breast cancer. 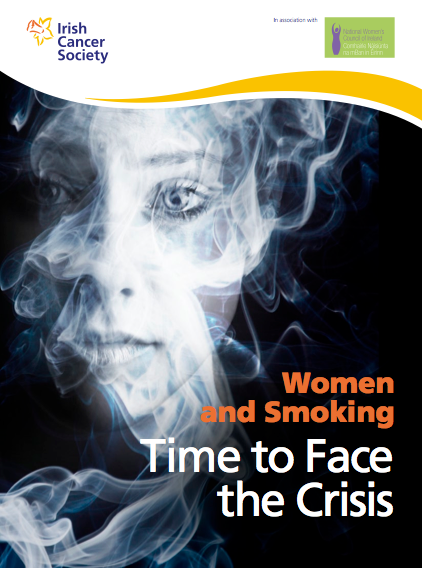 Yet, while over two-thirds of women want to quit smoking, this report reveals several social and psychological factors that are making it very difficult for them to quit. First, women are becoming desensitized to the message that smoking carries serious health risks, and rationalize that we're all going to die anyway. Many women try to quit smoking and were unsuccessful. Even if they were able to quit for a while, some resumed their smoking habit during a moment of stress or weakness. Despite these failed attempts, research found that most feel they would just go ”cold turkey” when giving up - that simple willpower would be enough. Irish women - like American women - often view smoking as a way to cope with the stress and pressures of life. For some, smoking is also an important part of life in the community they live in, giving them a sense of belonging. I've heard that from U.S. women, who talk about getting in on the gossip when they smoke outside with their friends and co-workers. The report clearly shows that the Irish need an educational strategy that takes gender differences into account. Cigarette packaging aimed at women clearly contributes to getting women hooked. Cigarette pack designs that depict smoking as ”elegant,” ”feminine” and slim cigarettes that are perceived as being ”light” and ”better for you” appealed to women, and particularly those who identified themselves as ”social smokers." To me, it's just one more reason why an e-cigarette brand that appeals to women just makes good sense. I send this blog out to the universe in the hopes that an Irish woman or two is listening. Feck those fags (cigs), lassies! Switch to vaping and vanquish the vile stuff in cigarettes!